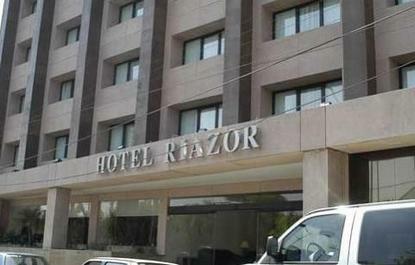 The Riazor Hotel offers to our guests the following services: lobby, bar, restaurant, room service, reservations, gym, covered swimming pool, sauna, business center with its own lobby, valet parking, free shuttle Airport-Hotel-Airport, cable TV, internet, free safety deposit box and air conditioning. All of these services combine functionality and luxury. Additional Information: Children age 12 and under stay free in the room of parents and in existing bedding. Room rates include taxes.